The Scaling Innovations in Mobile Money (SIMM) Project is a two-year project that builds upon the U.S. Agency for International Development's (USAID) past interventions in microenterprise access and mobile banking to expand financial services through new technologies. The lack of access to financial services in the rural Philippines presents a major barrier to achieving broad-based economic growth. Mobile money (m-money) offers an innovative, cost-effective means to create high-impact development that benefits marginalized populations. The Scaling Innovations in Mobile Money (SIMM) Project is a two-year project supported by the U.S. Agency for International Development (USAID) that builds upon USAID’s current interventions in microenterprise access and mobile banking (m-banking) to expand financial services through new technologies. The SIMM Project builds upon USAID's current interventions in microenterprise access and mobile banking to expand financial services through technologies. SIMM advances three inter-connected goals: 1) boost expansion and rapid adoption of m-money services; 2) create an enabling environment for m-money; and 3) increase financial inclusion for broad-based economic growth. To reach these goals, SIMM targets three broad areas of strategic intervention: (i) the payment system, (ii) government services, and (iii) electronic payroll distribution. Cutting across these strategic areas, the activities of SIMM will also address both (a) supply and (b) demand constraints to broader adoption of m-money in the Philippines and © promote global knowledge sharing. USAID has worked extensively with the two main mobile network operators (MNOs) Globe and Smart over the past few years and is expanding its cooperation to deepen financial inclusion through technological innovations grounded in development applications. 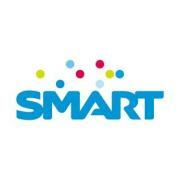 Smart Communications, Inc. (Smart) is a wireless services provider with 52.1 million subscribers on its GSM network as of end-September 2012. Smart has built a reputation for innovation, having introduced world-first wireless offerings such as Smart Money, Smart Load, Smart Padala, the Netphone, and Smart LTE—the world’s first multi-band LTE service. Smart also offers 3G and HSPA+ services, while its satellite service, Smart Link, provides communications to the global maritime industry. Smart Broadband, Inc., a wholly-owned subsidiary, offers a wireless broadband service, Smart Broadband, with 1.69 million subscribers as of end-September 2012. Smart is a wholly-owned subsidiary of the Philippines' leading telecommunications carrier, the Philippine Long Distance Telephone Company. To be the true measure and standard of leadership in everything we do. We envision a world of people truly connected and enabled to realize their limitless possibilities. We passionately believe that we contribute to the convergence of people and their worlds, and that through our services, we make a real difference to the lives of millions of Filipinos. We recognize the huge responsibility of our corporate mission and we are energized by the nobility of our purpose. We commit to pursue this while establishing an environment that is challenging yet nurturing , stretched yet fun and characterized by interdependent partnering and individual accountability. As a responsible corporate citizen, we are committed to strengthening our community service initiatives on various fronts. Our approach – closely involving our partner communities in the implementation of various programs, emphasizing sustainability, tapping partners to help other partners, and integrating programs and projects in the mandates of different business units of the company. Our community partnership initiatives summarize our approach to corporate social responsibility -- beyond the conventional “feel good” programs or the corporate philanthropy model. Globe Telecom is a results-driven organization and works hard on putting forth relevant products and services fast to the consuming market. 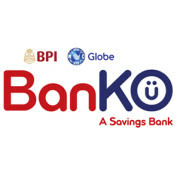 The products and services enhance everyday communications and continuously fulfill the company’s mission to transform the lives of millions of Filipinos. Globe is committed to enrich lives by providing innovative solutions for a better and faster mobile and data experience and bring its customers, employees and shareholders closer to fulfill the things that are most important to them. The company’s vision of having the happiest customers and employees is best represented by its corporate transformation philosophy called the Circle of happiness. The philosophy links the relationship among the company’s engaged employees, delighted customers and the satisfied shareholders. Employee satisfaction leads to work dedication and results in happy customers when they experience excellent customer service in purchasing the products and services of Globe. This further increases profitability making the shareholders more contented and confident with the company’s performance. Good financial performance in turn provides more opportunities to the employees and increased employee satisfaction, adding to exceptional customer service delivery. Constantly following Globe Telecom’s philosophy in making great things happen, it becomes a win-win situation for all. We care like an owner. To us, it’s be fast or be last. 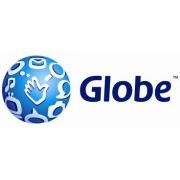 I love Globe. Together, we make great things possible. Consciously move towards the continuous reduction of our ecological footprints from our operations. Where possible, we will move beyond regularly compliance and apply best practices and global voluntary standards on environmental and social responsibility. Manage emissions from our energy use, particularly to our networks and ensure that we carry out regular assessments on how energy is consumed within our network to monitor our climate impact and identify opportunities to reduce it. Comply with all environmental laws and other laws relevant to our business. Encourage and train our employees and business partners to help us reduce our environment impact by communicating our policies and programs. Partner with organizations which share the same environmental values and find ways of cooperation to protect the environment. Conduct a review of our environmental management system to ensure that the commitment of this policy are delivered and that we strive for continuous improvement. Report our environmental performance to our stakeholders. Globe Bridging Communities (BridgeCom) is the corporate social responsibility (CSR) arm of Globe Telecom. Institutionalized in 2004, Globe BridgeCom has evolved from practicing strategic philanthropy into a program which champions five pillars representing major economic, social, and environmental advocacies: good governance (i-Lead), social entrepreneurship (i-Prosper), environment conservation and protection (i-Conserve), access to education and social services delivery (i-Access), and active citizenship through volunteerism (i-Give). Globe BridgeCom works in strategic geographical focus areas—Batangas, Benguet, Bicol, Bohol, and Lanao—which were chosen based on ranking of poverty incidence, high vulnerability to climate change, presence of local BridgeCom partnerships and potential growth area for the business’ sales and marketing efforts. Globe BridgeCom has taken the Communities of Practice (CoP) approach in all of the focus areas where all of the company’s advocacies are practiced and synergized. By utilizing technology-based solutions, Globe BridgeCom aims to transform the lives of people, businesses, and communities all over the Philippines. It continues to strengthen its partnership portfolio guided by principles of creating shared value, active citizenship and environmental conservation, and use of ICT-based innovations.